Old US 64 Pecan Creek, Muskogee County. 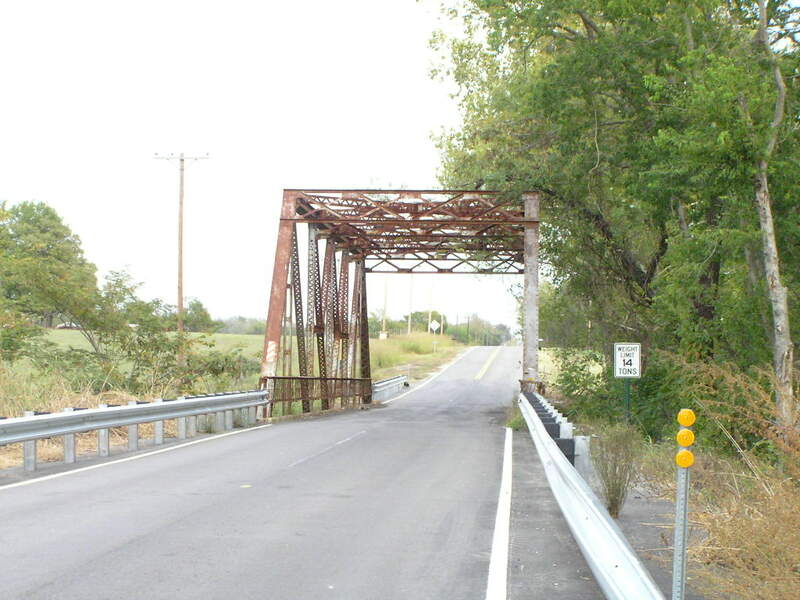 Built in 1929, this 100-foot long Modified through Pratt truss spans Pecan Creek east of Taft. 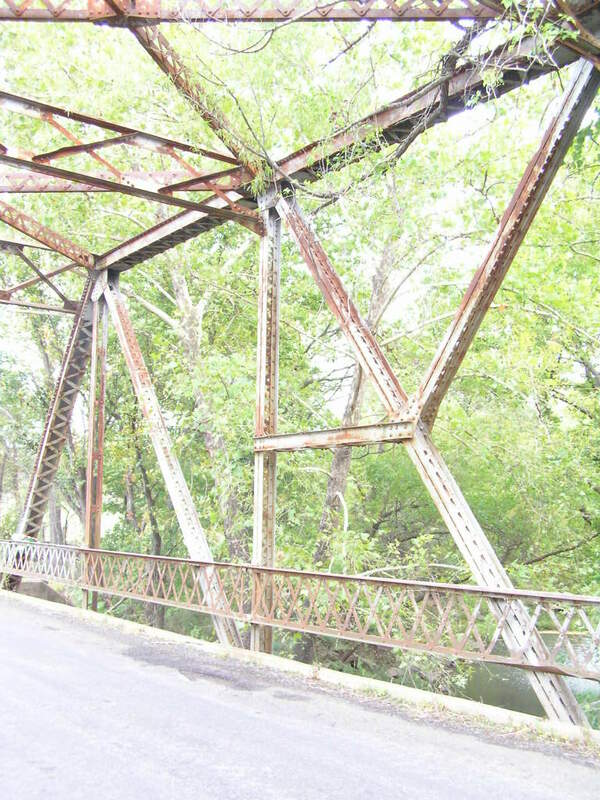 Below, a view looking east thru the bridge. 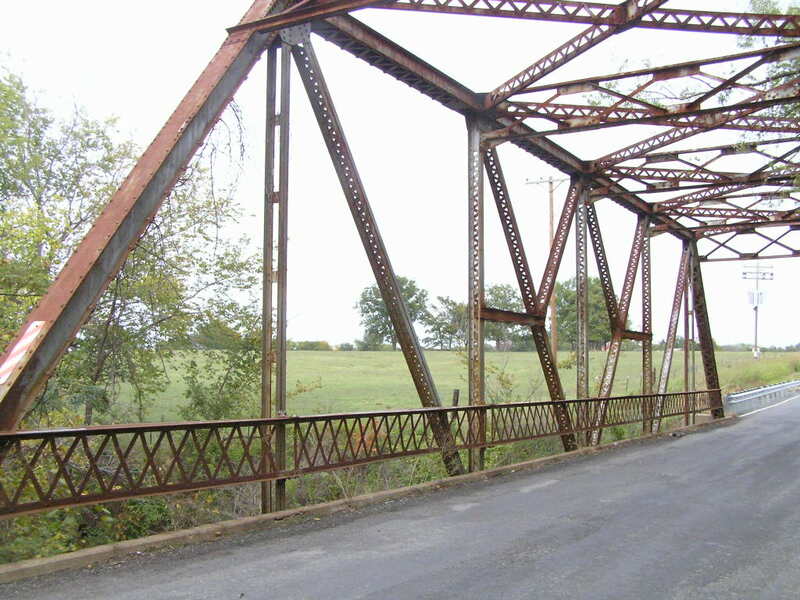 The modified Pratt thru truss was a popular state-designed bridge in Oklahoma for spans from 100 to 120 feet. Above, close-up of the truss The extra members in the center two panels allowed for an increase in capacity without greatly increasing the size of the compression members. Note the extensive use of lacing here. The original concrete deck has been surfaced with asphalt. Below, a close-up of the parts that make this a modified Pratt span. The horizontal member is a strut, and connects the vertical post to the diagonal. 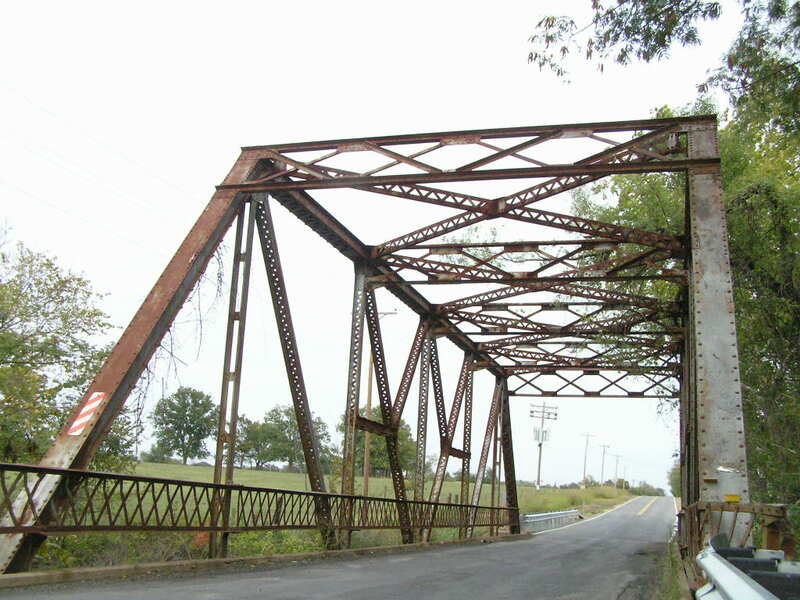 A short diagonal tie then connects this point to the upper chord at a panel joint. By a adding these two parts, the size of the vertical post is reduced such that is no larger than the tension diagonals, thus saving weight and material. The size and weight of the strut and tie are much less than the size and weight of an unbraced post. Above, back view of the portal frame. Curved knee braces would have graced the corners, but these have been removed to gain clearance. 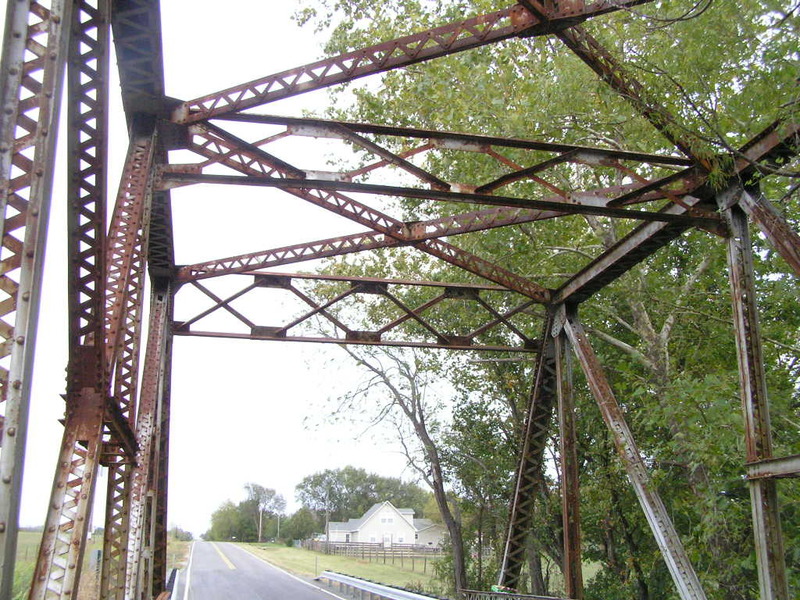 Below, despite minor modifications, this is really a fine bridge that has weathered well.